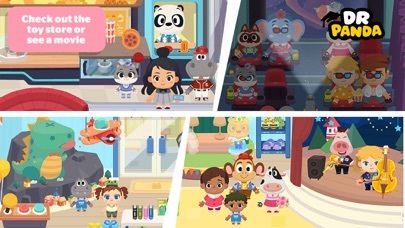 Explore the entire mall with four huge floors to choose from! 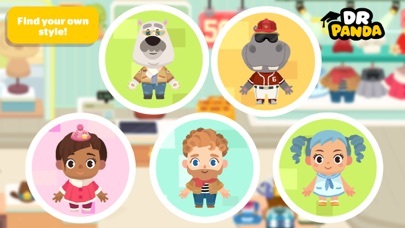 Check out the fire-breathing dinosaur in the toy store, try on the cool superhero costumes in the movie theater, or see if you can find all 30 hidden gift packages! 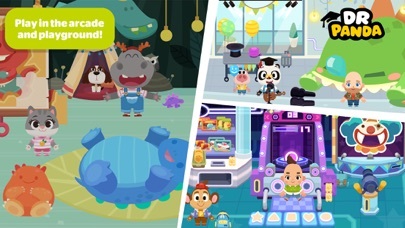 Play fun games to earn rewards in the arcade, or play hide and seek in the indoor playground for even more fun! 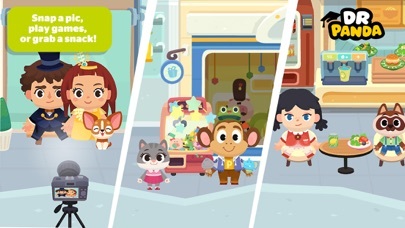 With surprises and fun around every corner, what will you discover? 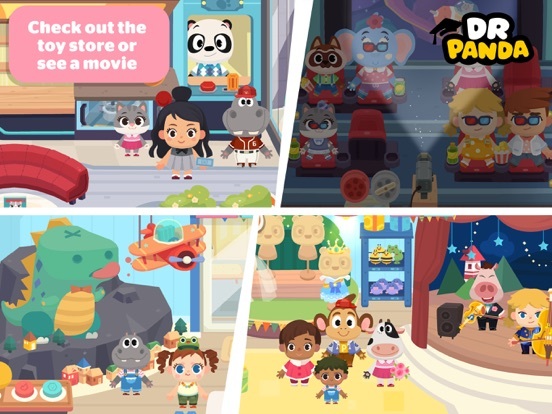 Shop till you drop and play together on one device with your friends! 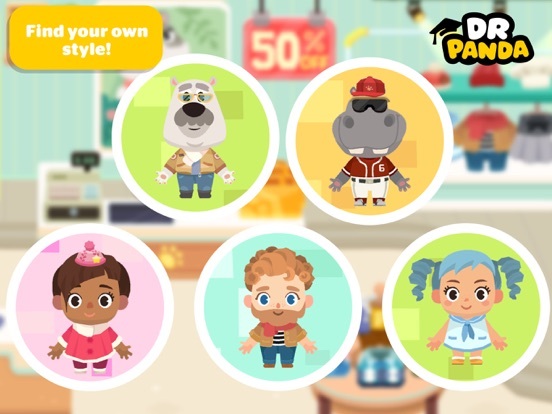 Give each other a makeover in the hair salon and swap outfits in the clothes store. 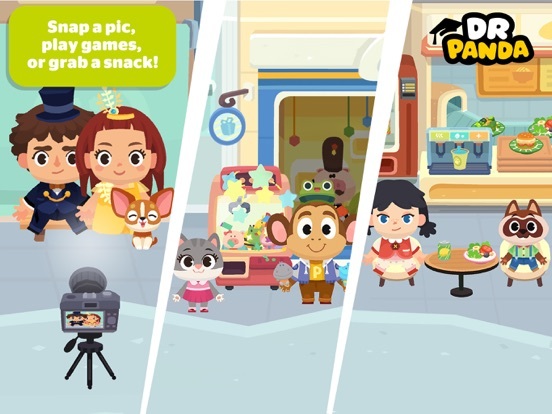 Visit the top floor and grab a bite to eat, or kick back with a movie before finishing up with the perfect selfie for a day out to remember! 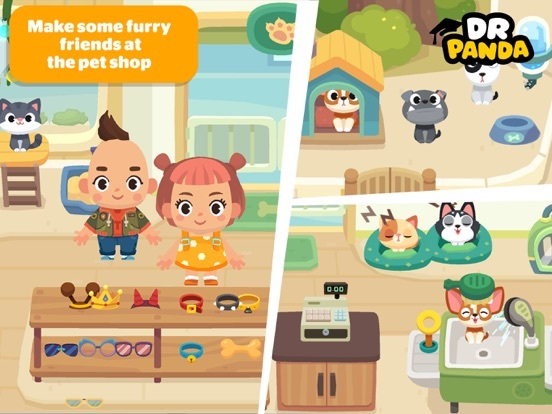 ● Bring your characters’ outfits, hairstyles, pets, items and more between every app in the Dr. Panda Town series! Simply tap the orange map icon at the top of the screen to see all the areas you can visit. 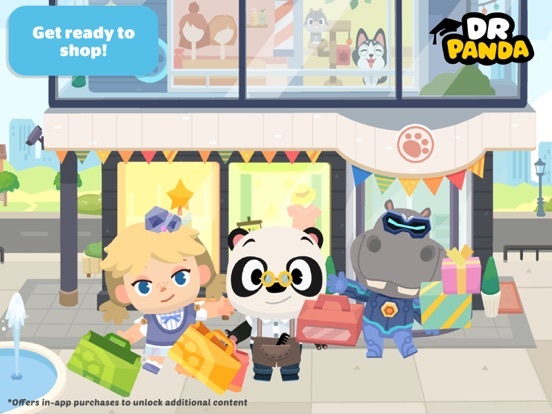 Additional areas in Dr. Panda Town: Mall can be added via one time in-app purchases. 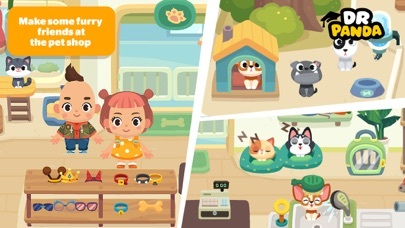 These are one-time purchases which will permanently unlock the content for your account. 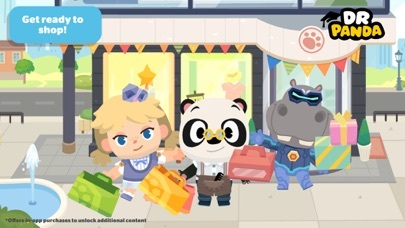 Please check your device settings for more detailed parental options regarding in-app purchases, and feel free to contact us at support@drpanda.com if you have feedback or concerns. 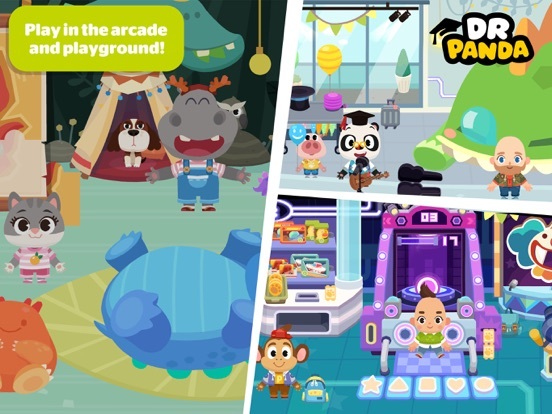 Don't forget, some mysterious creatures are hidden in Dr. Panda Town: Pet World. Can you find them all?